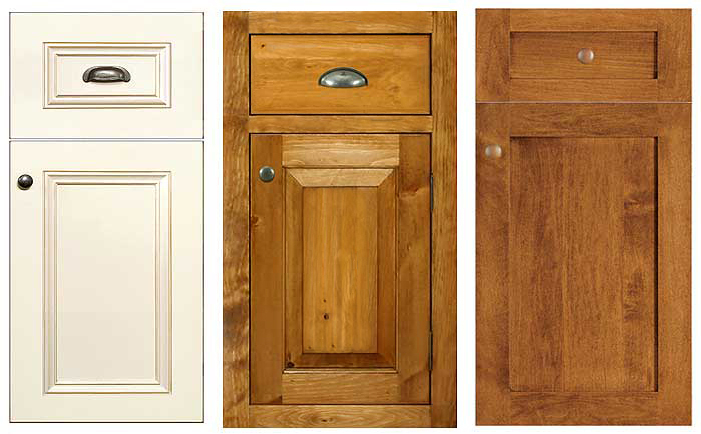 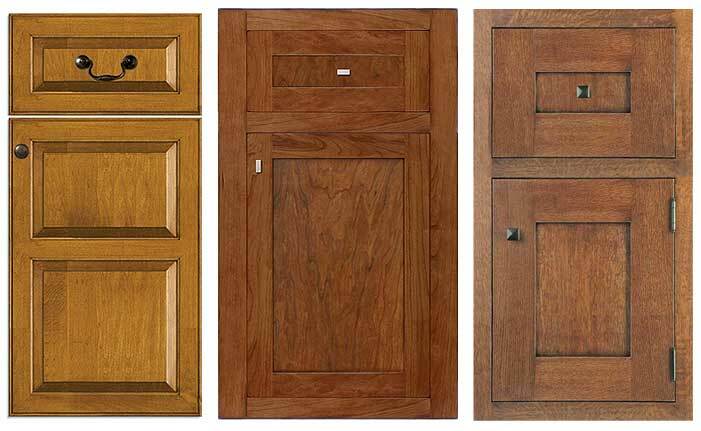 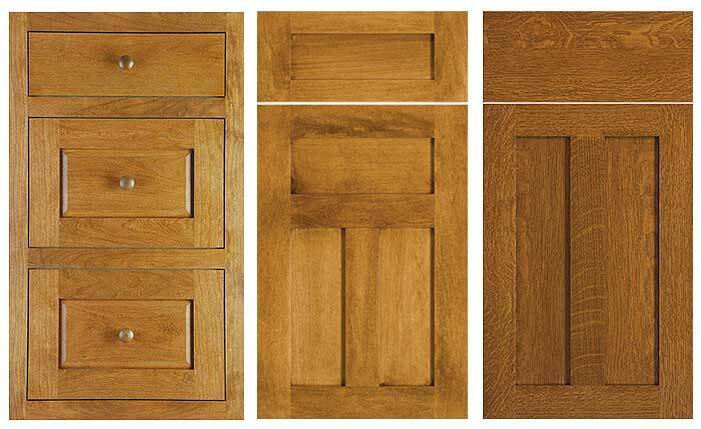 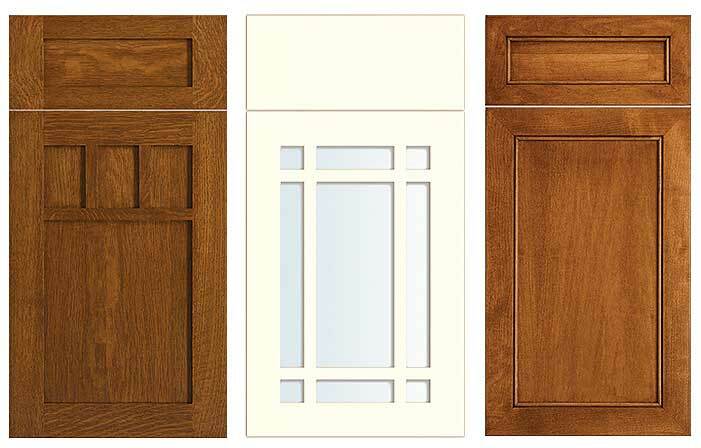 Select from solid wood doors made from Maple, Cherry, Oak, Pine or Walnut. 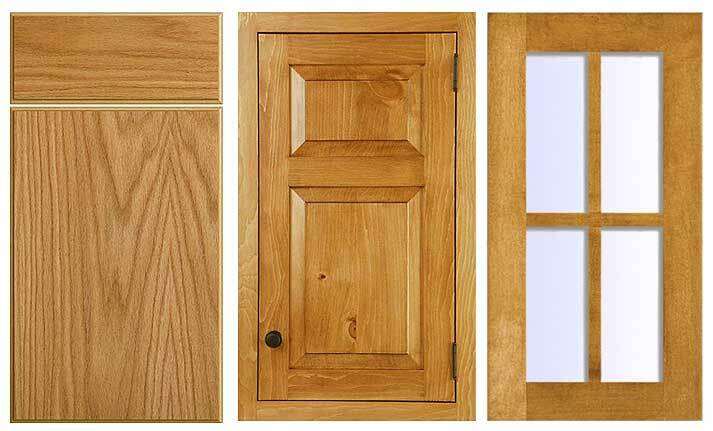 The Amish woodworkers will use other wood species if requested. 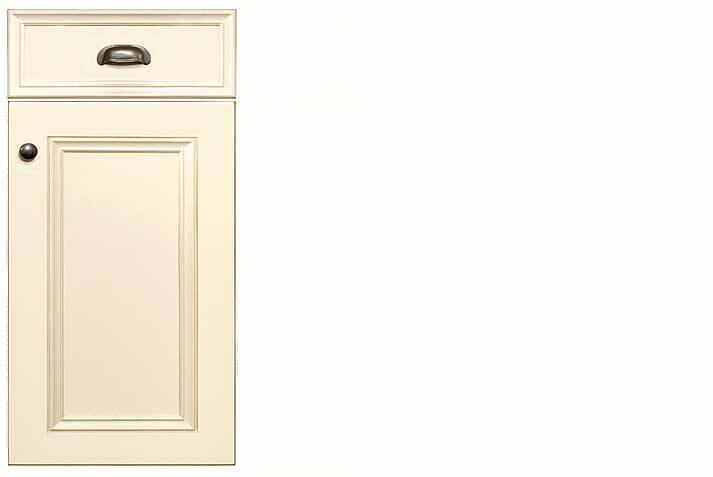 Poplar or Grey Maple wood is used for our painted cabinets.